Description: Where character commands a premium. Wonderful 5BR home on large park-like corner property w/120 ft. on W. 61st Well maintained and has been upgraded several times. 4 f/p, wonderful 3rd flr development w/full bath. Attached garage, h/w floors. Master suite w/ensuite and dressing room. Skylites in kitchen. Eating area overlooks garden and patio. Family room w/built ins. Many more features! Located in S.W. Marine/S. 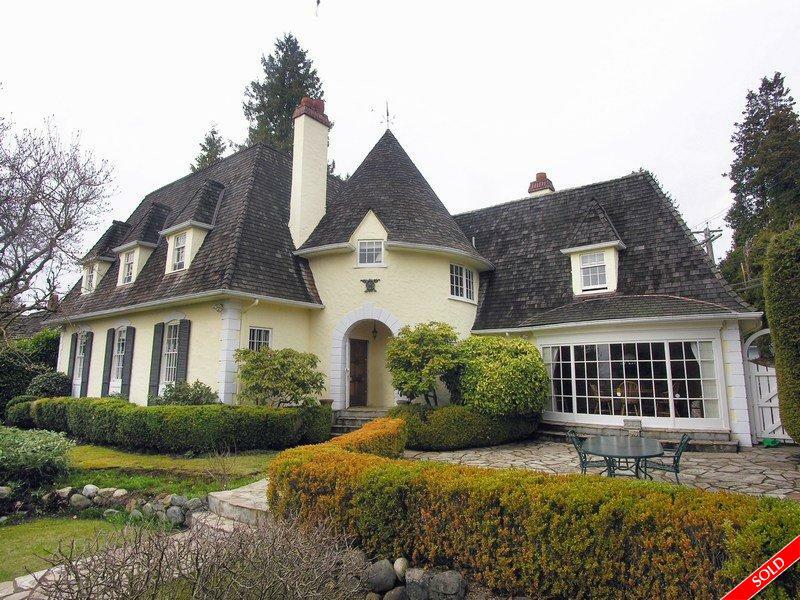 Kerrisdale area close to good public and private schools. Special and a pleasure to show! OPEN HOUSE SUN JULY 26TH, 2-4 pm.